Let it snow, let it snow, let it… STOP. 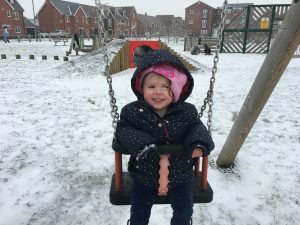 On Thursday, EldestGirl’s school was closed because of some severe snow locally. 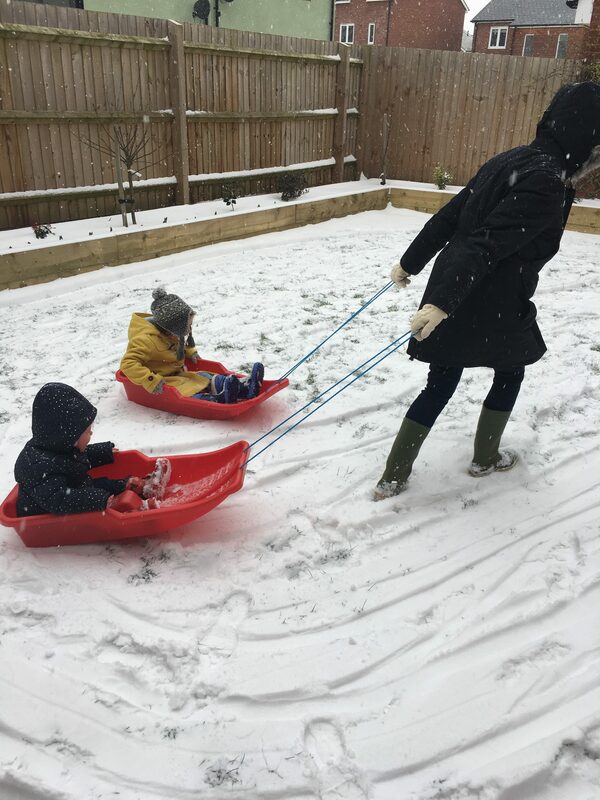 TheBloke (TM) and I are in the extremely fortunate position of not needing to battle to get to an office, and so I, at least, was delighted at #makingmemories (vom vom vom) but I genuinely was a little bit excited about doing loads of really snowy, cosy things. 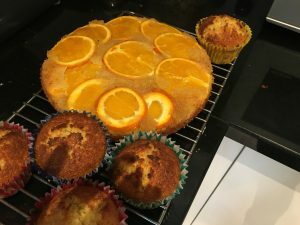 It started so well – some friends came over with children to play, then, in the afternoon we made a delicious marmalade cake, did some reading and some maths, to keep her school skills brushed up, and then went out sledging on the new sledges Grandma and Grandad had bought the children for Christmas. Rosy-cheeked and glowing, the little ones tumbled back inside for hot chocolate and marshmallows and #snowday #makingmemories #soblessed #instagramperfection. Then school was shut again the next day. Completely understandable, the weather was, if anything, worse. But holy hell, two days in a row? We had no-one over to play because the thought of additional children in my house made me feel a bit punchy. We did no cooking because I hadn’t properly tidied the kitchen up from yesterday’s sticky flour-and-marmalade explosion. We tried to do some school work, but the ensuing foot stamping and tantrum threat within an enclosed space made me return them to the safety of the iPad and promises of endless Frozen on TV. We tried to teach EldestGirl her five times table. She already knows her two and her ten times table. But somehow, despite knowing that 5 x 2=10 and 2 x 5=10 when we are talking about her two times table, does not translate to knowing that 5 x 2=10 and 2 x 5=10 when we are talking about the five times table. I tried not to bang my head repeatedly on the playroom table, and thanked the Imaginary Lord again for teachers with infinite patience who do not call children dicks and start drinking. We did try to go out and play in the snow again. 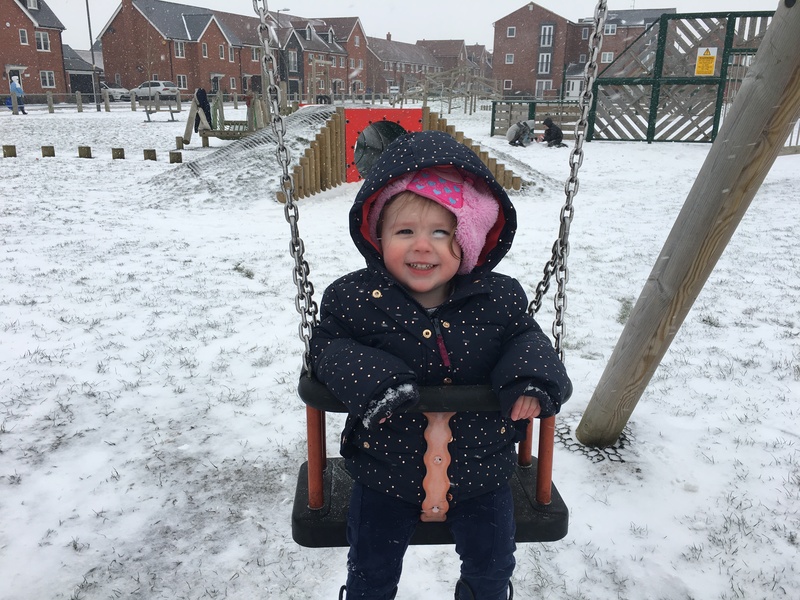 This time EldestGirl did not wish to go to the local playground and sledge on the slopes. She wanted me to pull her around the garden like an overworked husky. YoungestGirl thought this was a good idea, so could I please pull them both? I accidentally may have dropped YoungestGirl into a snowdrift. YoungestGirl nagged to go to the playground, so I took her there. She cried all the way. I tried to pull her along on the sled, but she wanted to walk. She had a tantrum until I gave in and let her toddle beside me. 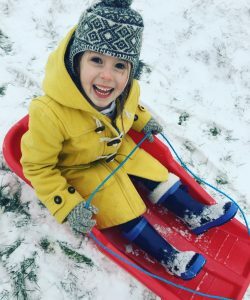 Then she promptly fell flat on her face in the snow (that’s not how you’re supposed to make snow angels, YoungestGirl), and then played Schrodinger’s Toddler for the next fifteen minutes, where she simultaneously absolutely did not want to go home, but also desperately wanted to go home. She howled for a good ten minutes after we got home, at the injustice of having been removed from the sled, upon which she was inconsolable. And oh hell-with-chips, it was then Saturday and Sunday. A whole weekend stretching ahead. With roads largely impassable, I can understand why the producers of Groundhog Day chose a snow setting. Every day is the same. 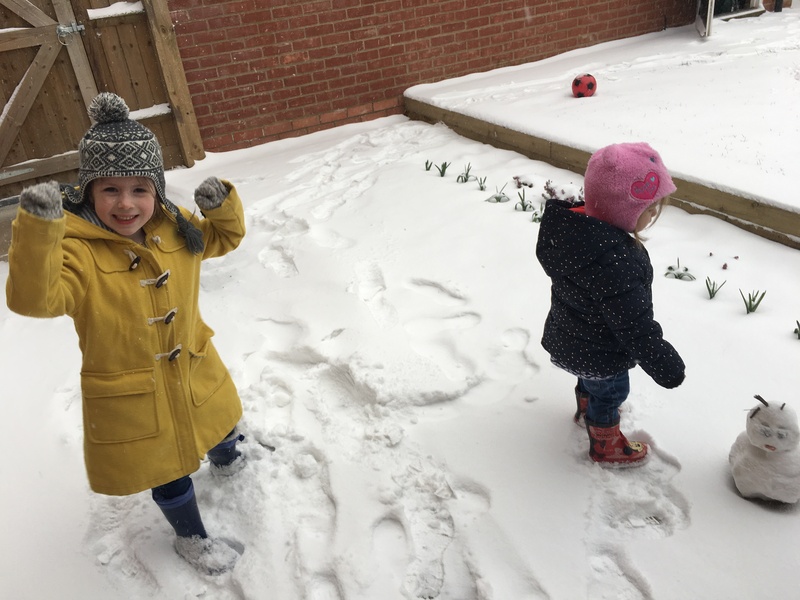 Go out, play in the snow until the children get miserable. Attempt to appease them with sugary hot chocolate. Deal with a sugar-meltdown. Try and attempt to get them to do something vaguely educational. Give up and repeat snow/hot chocolate/sugar meltdown on a never-ending loop. Hope it melts by Monday. DED at “Schrodinger’s Toddler”. While it’s unlikely I’ll ever be faced with a snow situation, I do kind of feel the same way during a heatwave when stepping foot outside will result in instant combustion. I thank you. We are off to warmer climes for a holiday soon, and I vastly suspect “wailing from the cold” will be swiftly replaced by “wailing from the heat”. If kids are good at anything, it’s wailing.